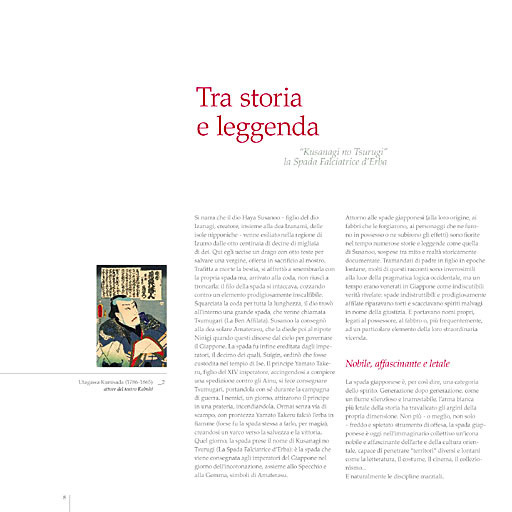 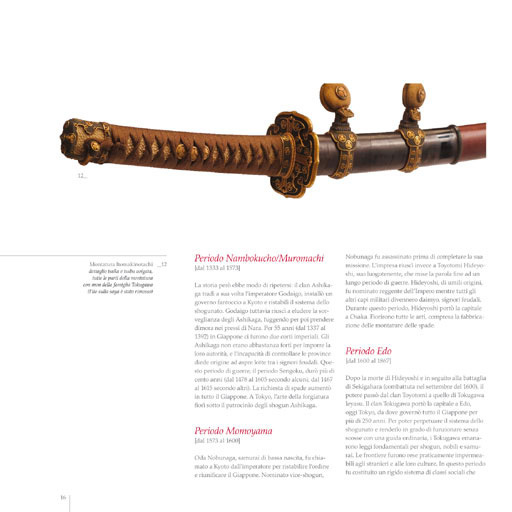 Japanese swords have a metaphysical dimension, in the collective imagination, they became a cult object, a noble and fascinating icon of Oriental art and culture. 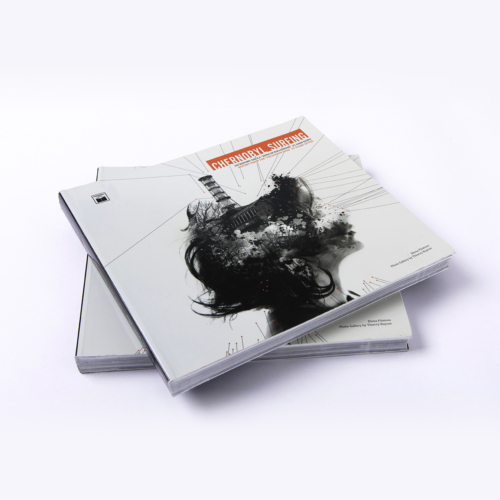 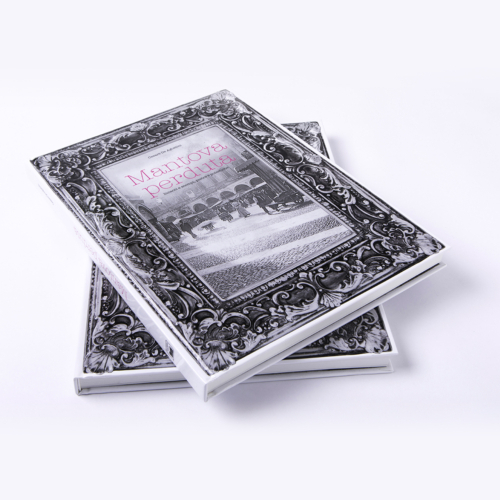 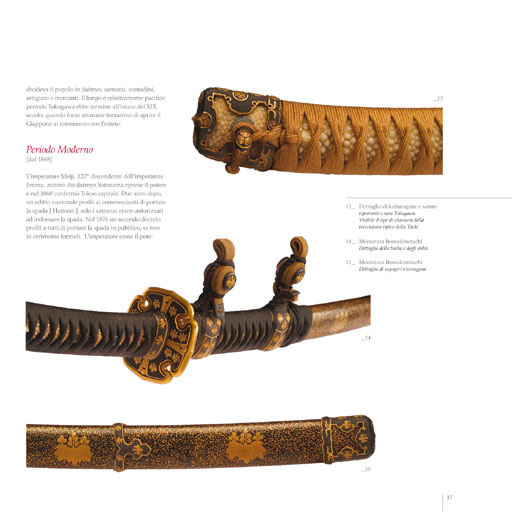 History, legends and technologies handed down from generation to generation, intrinsic and symbolic values are the fil rouge of this book with multiple levels of reading. 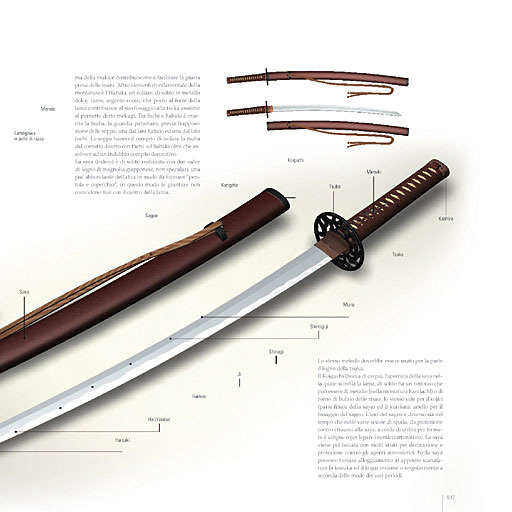 A documentary one: framing the sword evolution in different Japanese history periods, evoking the story of sharp and indestructible blades, of spirits and gods, and blacksmiths who have become a Japanese “living national treasure”. 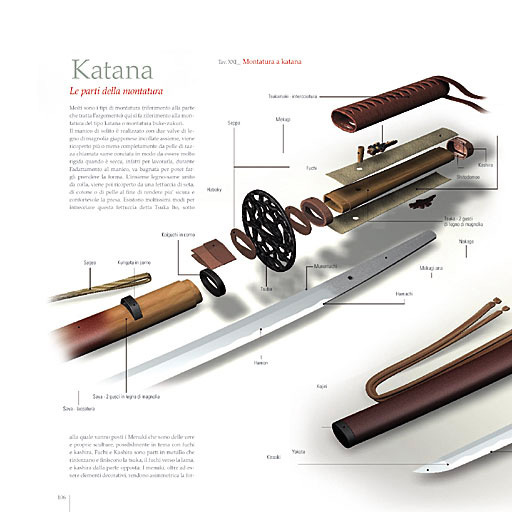 A Cultural and artistic level, with hundreds of beautiful and unusual color photographs of blades, settings and accessories. 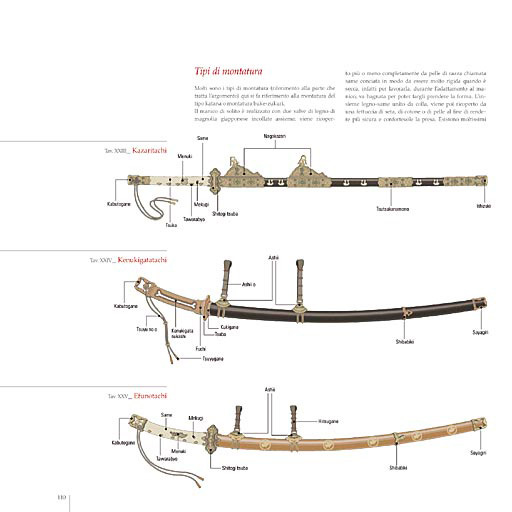 Finally, a technical one with a real “anatomy” of the sword: every small element is rebuilt with mastery by evocative illustrations and three-dimensional representations. 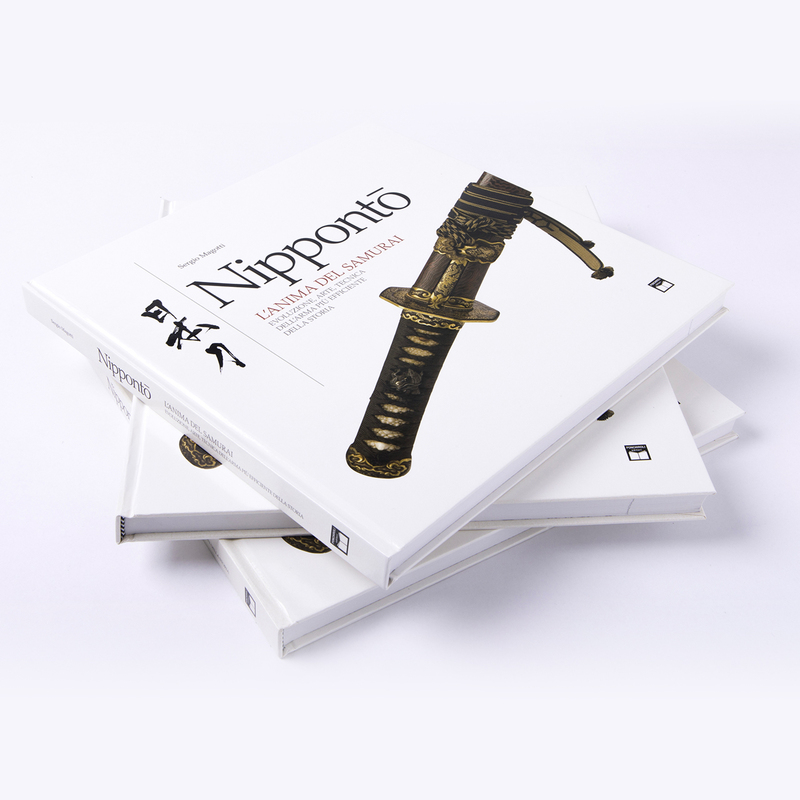 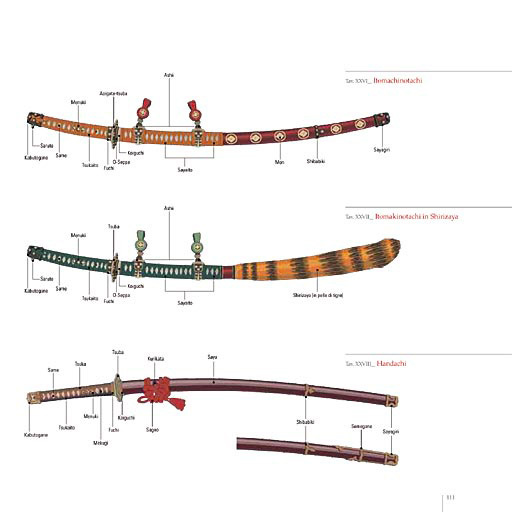 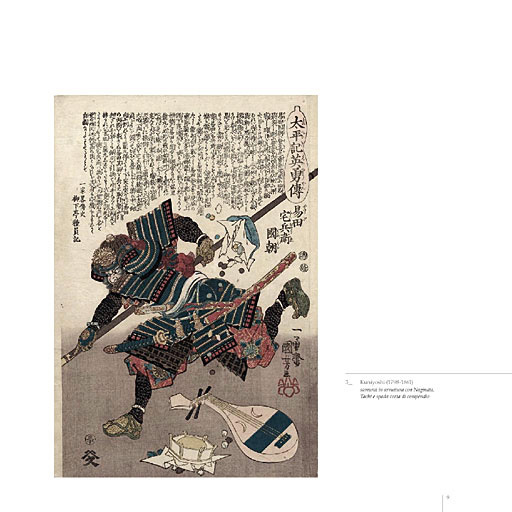 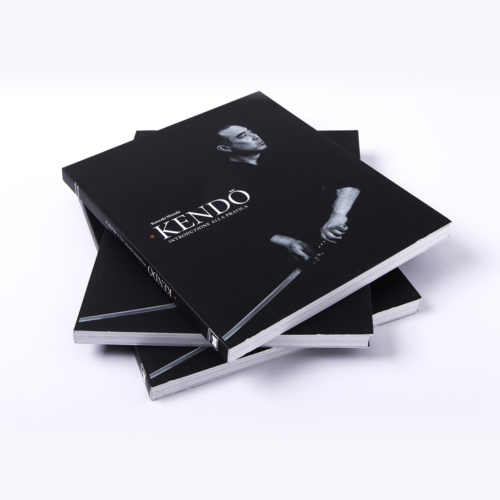 The book contains also several time tables, a rich glossary and a series of theoretical and practical information to deal with the fascinating but difficult Japanese sword market with greater knowledge of the facts.